Wild kelp is a type of seaweed which is primarily known for being naturally high in iodine – an essential mineral that is required for many biological functions. As consumption of wild kelp is not easy due to its availability, many kelp supplements have become popular as a convenient way to consume a natural source of iodine on a daily basis. 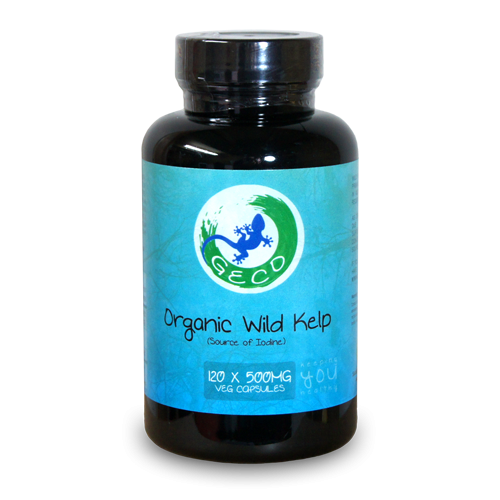 Geco Supplement’s organic kelp supplement is nothing but pure, natural and organic. 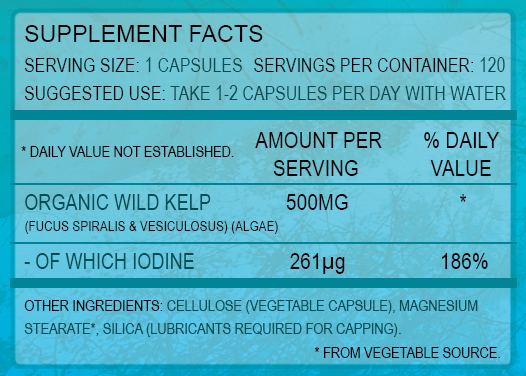 The minimal amount of processing has been used to make this kelp supplement, to ensure that the nutrients in remain intact and undamaged. During the encapsulating process extremely small amounts of magnesium stearate and silica are used to avoid the product clumping in the machines. This is typical for all encapsulated supplements, and you can read more about these 2 compounds here.